Lazy weekend mornings are few and far between for most of us. For those rare occasions when you can wake up without an alarm clock and have nothing on your calendar, treats like these just seem to make those days even better. 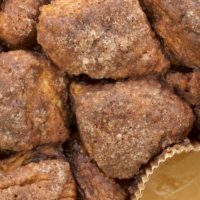 I’ve been down Paula Deen’s monkey bread path before, but this recipe has the added benefit of chocolate. It seems like there just aren’t that many legitimate opportunities to have chocolate for breakfast. So, when I find one, I try to take it. This is another of those fast, easy recipes that we all need in our recipe boxes. This monkey bread can be put together and in the oven in just a few minutes, freeing you up to enjoy your laziness while they bake. Preheat oven to 350°. Lightly grease/spray a 10-cup Bundt pan. Combine sugar, cocoa, and cinnamon. Set aside. Dip quartered biscuits into melted butter. 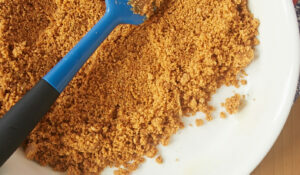 Dredge in sugar mixture. Layer biscuits in pan. Bake for about 1 hour. Cover with aluminum foil, if necessary, to avoid excess browning. Cool in pan 10 minutes. Invert onto plate and serve. Recipe adapted from Paula Deen. Wow! this bread is fantastic and stunning photos indeed! 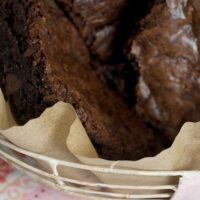 Hi there, I really want to try this recipe but I do not have a bundt pan (such is university student life!) 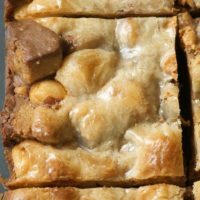 Is it possible to use a cake pan instead? If so, what adjustments should I make to ensure the same results? Thanks in advance, I love this website! I LOVE chocolate with cinnamon. 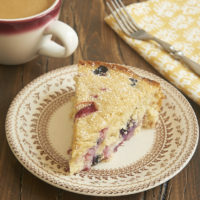 I have never made this, but I have made her blueberry coffee cake- which is essentially monkey bread with fresh blueberries- mmm! I am definitely going to make this. My husband would eat this right up. Thanks. Love these kinds of recipes, and you’re right… we do need a few of these in our recipe collections! Delicious! Monkey bread is on my to bake list, but I am going to wait till my grandson visits. 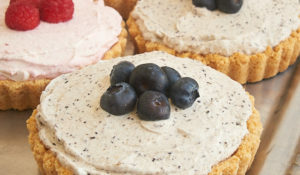 I will try this recipe on your recomendation (not a PD fan), thanks Jennifer. WOW… this looks ao yummy. The combination of flavors look great! kim, you can certainly use a cake pan. You might want to make half the recipe and put the biscuits in a single layer. You won’t need to bake as long either. Try cutting about 15 minutes off the baking time. Just keep an eye on them so they don’t get over-baked. Enjoy! Ok you just took it to a whole new level this looks so good! Oh no. 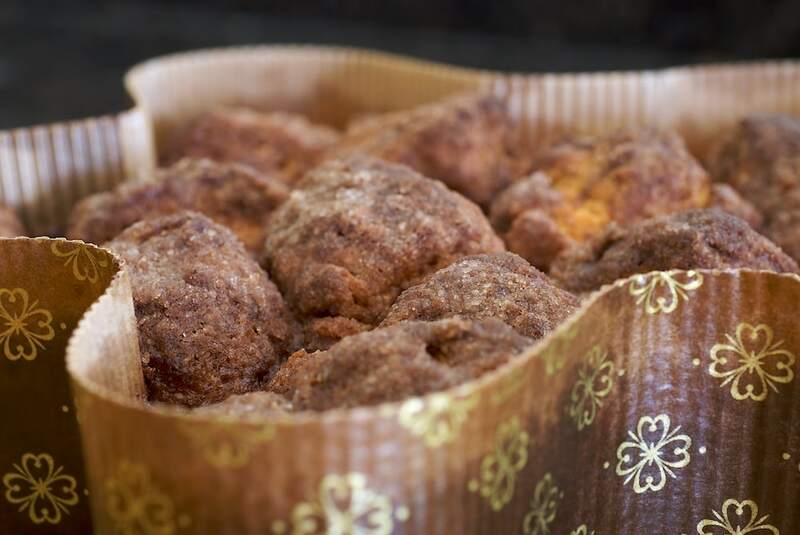 Monkey bread is addictive, and the addition of chocolate might put me over the edge! 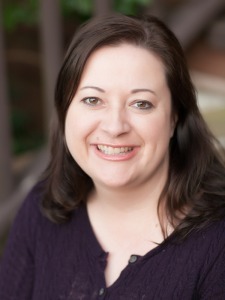 Jennifer–you, your recipes, what you make, and photos never cease to amaze me! YUM-O! This looks heavenly! Thank you for sharing such a simple, delicious recipe. My husband and I are moving into a new apartment this weekend and I have a feeling this will be the first breakfast I throw together for us in our new home! We have “regular” monkey bread every Christmas morning, I may have to convince my family that we need an update on our tradition. As far as Kim’s question about a cake pan, another option would be using a loaf pan, which my Mom, sister, and I frequently do. 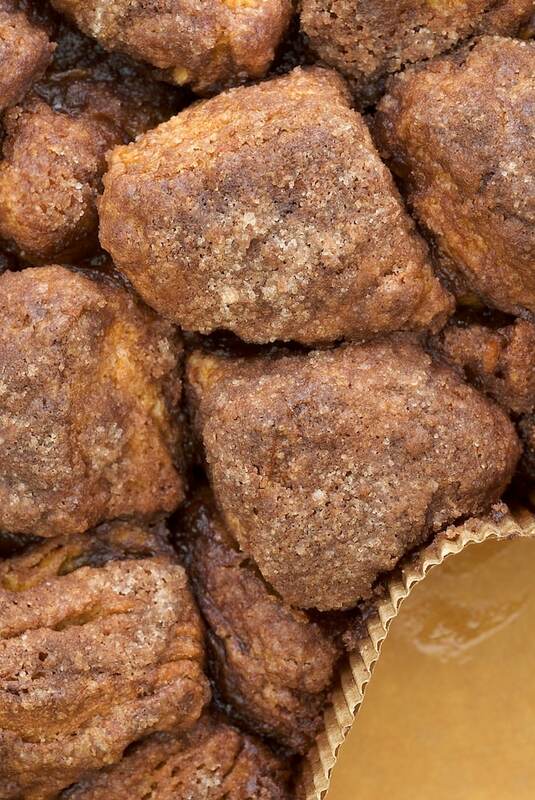 I’ve heard about monkeybread and all its goodness, but never eaten it. This looks so fantastic! I never know what I love more, the name or the bread itself. Looking at your pic, I’d have to say the bread. Monkey bread is good bbut this takes up a notch! Looks deceptively like donuts! And I like anything cinnamon too.. yumm! Chocolate too? What a double treat!! YUM! your photos are clearly an art form. I love coming here. You have such wonderful talent for bringing out the best. I’ve been drooling over this for several days since hitting this page on StumbleUpon a few days ago. 🙂 It’s bookmarked, and I will definitely be trying this! This looks SO good. I’m making in tomorrow for some company we have staying over tonight. I can’t wait! Can only think of one comment to make about this: WANT! How much chocolate did you add? If we go by my measurement, it may all be chocolate. Thanks for bringing back some great memories – I haven’t even thought of monkey bread in at least 12-15 years! I’m going to have to make this the next time I need something quick and fun to pop in the oven. Katie, the chocolate is all cocoa powder. You can find the recipe here. I’ve never heard of monkey bread before… I feel very deprived!! Is it made in a loaf tin? I’m really curious now! 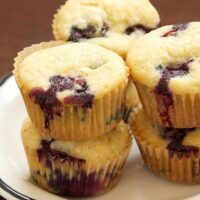 I’ve got to try these, could I have the recipe? Oh, I just noticed to comment above.. tehe. Wow! 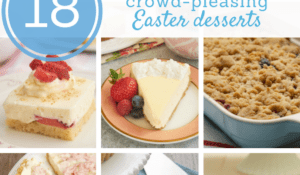 I love your photos and your recipes have filled me with ideas for the holidays. I will be sure to come back and let you know how they went over! My friend makes regular monkey bread frequently and it always brings rave reviews. I’m going to tell her about this recipe. It looks and sounds great! This sounds similar to something I had at camp a long time ago and has since become my standard for evilness. Screwballs are marshmallows and chocolate wrapped in biscut dough, fried and rolled in sugar. 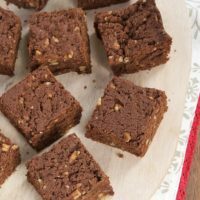 This recipie looks really good too, how do you think it would work with biscuts that have already been cooked? I need to think in terms of ingredients I can liberate from the cafeteria! Rachel, I’m sure you could do something similar with pre-cooked biscuits. You wouldn’t need the cooking time to be as long – just enough to get them nice and warm. i’ve never heard of monkey bread before and the word caught my eye whilst i was browsing through your pictures. i’d love to give this a go, but i was wondering what you meant in your recipe about cans of refrigerated cookies? are those pre-prepared cookie dough you buy at the supermarket? or can you make them yourself? Great easy recipe. Made it with the 2 kids I watch. We all LOVE chocolate, so I changed it a little. I used grand biscuits and cinnamon rolls. 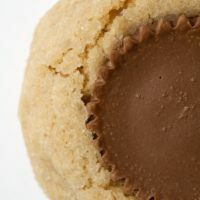 Did not add coacoa powder, but used chopped up (halved) mini peanut butter cups. Also cut up a white cookies and cream chocolate bar. Took pieces of the dough before baking and “hid” the chocolate pieces in some of the dough. It was fun to find the chocolate after biting into the bread when it was done. After the bread was done, we added the icing from the cinnamom rolls. YUM! We’ll make it again. VERY easy for kids to help make. I love Paula Deen’s “Gorilla Bread” and think this would “one up” that. If you haven’t heard of gorilla bread, you put cream cheese in the biscuits before you add them to the pan !!! Sooooo good it is hard to describe. The recipe is on the Food network site or in one of her books.